The book is the first of the series, and thankfully I have the chance to read the other two books that follow. For the first book in the series, the summary is quite long. And as far as long summaries go, they can work either way. They may either reveal too much information, or give a lot of details for the readers to note and keep track of. The book is categorised as a techno thriller and it has made all the difference to the murders listed in the summary - making them anticipated points in the book instead of suspense reveals. They add to the expectation quotient of the novel and set the mood before the reader gets to it. It is common knowledge that deaths can be messy. Even if wills have been written and attested, the death of someone who has lived a shady life can leave behind messes that are nearly impossible to sort out. And at rare times, people who have absolutely no idea about the mess are in a position to make quick decisions legally, and deal with all that has been left behind. Michael finds himself in one such mess after his brother Alex is murdered. Quickly brought into a game he had no idea about, with stakes he cannot even begin to comprehend, Michael is left in a position where his personal freedom and increasingly troubling life are also made harder until he comes to face life threats himself. I initially began this story with the image of estranged brothers one of whom is legally bound to set the affairs of the other in order. But with the ex wives and partners thrown into the mess, things quickly got more directions in which they would travel, and the many chances for which they could become nastier. Michael tries to walk a thin line between trying to set his brother's affairs in order while trying to be careful not to slip in the quagmire - something that keeps proving to be increasingly difficult with every new murder and every new truth that is uncovered, leading to dire consequences every time he tries to make sense of things around him. The classic 'putting the lamb amidst the sheep' thing works with this novel too and Michael finds himself going deeper into the world where everyone bays for his blood and all the while he is guided from the netherworld - in the form of Alex (but not the way readers might initially assume). The story is engaging because the writing is, and also because it gives the readers more things to process and think of while they are reading the story. This works as a plus in some cases because the readers would process the story in two ways. One for the way it is written and the plot it fulls out, and the other for the way it gives out information that may or may not be important in subsequent books. This book also falls for the problems that series books usually have. The lack of closure is evident but since there are obvious sequels the readers can hope to get their answers and explanations in the subsequent books which must address these questions for the story to feel complete and right. Overall the language was a plus, thankfully avoiding jargon but maintaining the important terms well. The story was coherent and maintained the interest despite revealing huge chunks in the summary. This is thanks to the writing and the plot sequencing, both of which work in favour of the book. This book turned out to be an interesting read, but it also pushed me to read the sequel - not only because I loved the writing but also because I wanted to know some more answers, which I think is what the author would want for his readers to feel. So in that way, it is a good book. Does not restrict itself to the purely technical aspects, or making it look like sci-fi only. The title's relevance was both obscure and mysterious. It worked as the latter for me. There is a tiny bit of stereotypical forming with the 'good guy' facing moral dilemmas the more he comes to know of the shady world thing. For the lead character, Michael could have been a bit more fleshed out. Good use of the concepts and clean writing make this book what it is. Good read. 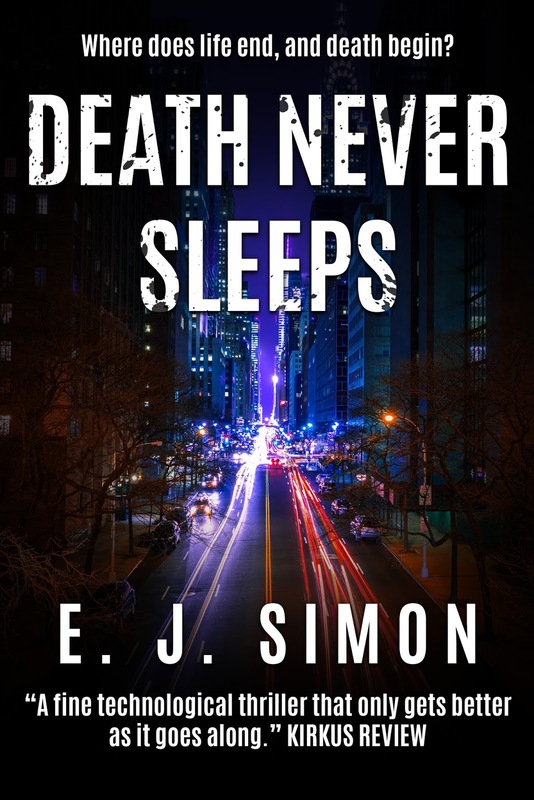 E. J. Simon is the author of three commercial fiction thrillers, Death Never Sleeps, Death Logs In and Death Logs Out. He has just completed his fourth manuscript, Death in the Cloud. 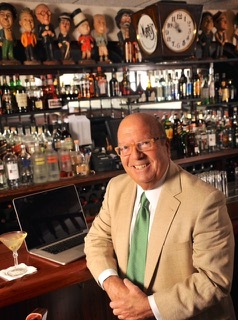 He is a member of the Authors Guild, the Mystery Writers of America and the North Carolina Writer’s Network. He holds an M.A. in Corporate & Political Communications from Fairfield University and a B.A. in Journalism from the University of South Carolina. He lives with his family in Cary, North Carolina in the United States. For more information, visit his website: www.ejsimon.com. 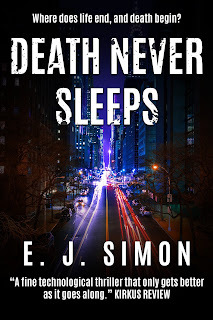 GUEST POST: E. J. Simon, author of Death Never Sleeps, Death Logs In and, just released, Death Logs Out. My inspiration often comes from my everyday life, the characters and people I grew up with, the places I’ve lived in or visited, sometimes it’s the dreams or nightmares, from my childhood. Two classic movies originally inspired my current books. The first is The Godfather for how it portrayed the family, the concept of the young, straight-arrow Michael Corleone, who starts out rejecting his family’s “business” and later embraces it, becoming perhaps the most violent and dangerous of them all. The second movie was 2001 Space Odyssey, the movie that popularized and first brought artificial intelligence to my attention. The computer on board the spacecraft, HAL, took on a mind and consciousness of his own and a will to survive, to the point where he kills off the astronauts who tried to “disconnect” him. The great physicist Stephen Hawking predicted that soon computers would be able to actually duplicate a person’s brain and mind and that a computer would eventually have a “consciousness.” This really is at the core of my books. Alex Nicholas, with the help of a breakthrough in artificial intelligence, duplicates himself on a computer – just before he is murdered. Certain authors have inspired my writing, or at least my writing style. 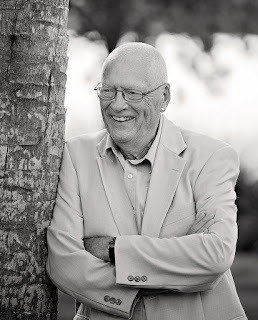 They would be Stuart Woods – I love the simplicity of his plots and his writing. In addition, Dan Brown and Daniel Silva for their characters and the intricate adventures inherent in their stories. 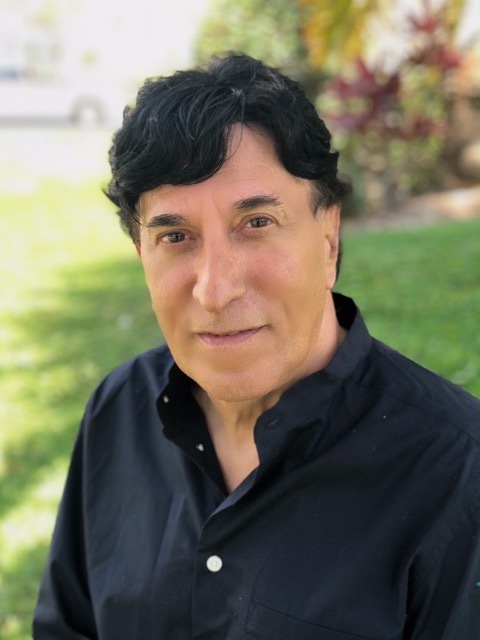 Finally, although my works are fiction, many of the characters are based upon real people, often ones I have grown up around, colorful relatives and friends, neighborhood toughs, and even people I have worked with in the corporate world (a few of whom I’d characterize as neighborhood toughs, too). In short, my inspiration comes from the recesses of my mind, real life characters, and from various media, particularly books and movies. It’s all enough to fill a library. I had already read the first book in the series, but it has been a while since, so I had to brush up a bit before I began reading this. The Cleansweep Counterstrike, however, is a standalone and does not mandatorily require the readers to have read the first book in the series. Dystopian novels are not from my favourite genre. But since I really enjoyed reading the first book in the series, I picked this one up without much hesitation. The cover was simple, sending a direct message with crosshairs locked on the head in a man's silhouette. The summary clearly picks up from where the previous book ended, but the plot of that one had been summarised in a way that would make even new readers understand the important events that had happened when the protagonist recognised, unravelled and brought down a plot to cleanse people based on their sexuality, religious identity and so on. Book 2 refers to the natural desire for revenge that has arisen in the face behind that CleanSweep conspiracy, the billionaire Claussen who now anxiously waits for his chance to take revenge against Matt, the whistleblower. The summary, though, led me to believe that maybe reading book 1 would mean a better enjoyment of this book. Thriller novels and almost any dystopian novels do not always end on a clean note. Much like the jagged edges of a cut from a serrated knife, there are uneven edges that are not really softened. These are not loose ends, but the author's attempt to bring the novel to a realistic conclusion. But when those jagged edges are clear openings for further events to happen, forming another entirely new story that is equally, if not more, thrilling. While the usual trope in many stories is the hero running out of time to save the world from the villain's scheming plans to destroy mankind and its resources, there is a small change in this one, where the negative lead, billionaire Clussen, is also in a position to answer to those who funded his nefarious operations. He doggedly pursues Matt, hoping to take him down in revenge for bringing down his grand plans. This story develops as a Clussen versus Tremain war, where those who helped overthrow the cleansweep conspiracy are also suddenly targets for the injured animal in Clussen. The one who was foiled and banished (apparently not killed) finds it hard to forget all that brought his ruin, while Matt, the blogger protagonist has moved on in life. But the moving on has not been smooth, for there is always a lingering fear that says that the danger is not completely past. They are justified in their fears, as the danger that awaits them begins to materialize in random simple forms. A villain who is himself on the run from more powerful forces is a novelty, and it makes his chase of the heroes much more exciting. This novelty kept me engrossed from the start to finish, as I had already picked sides in the first book and only reinforced my opinion on the individual characters with this book. I love how the book details that there will be repercussions for any actions, even if they were done for the greater good, and that there are no clean ends. Those who felt that book 1 ended without a few clearer answers, or felt like a meal without dessert would love to read this book as it would just pick up from the fall out of the events in the first book and feel like the next episode of the series. But those who have no idea what happened in book one might not really understand why some characters act the way they do. The author's specialty lies in trying to make these two books as independent as possible, while making sure those who are already fans of book 1 are not disappointed. This book leaves way for a sequel, which promises to be more exciting. This book is a treat to conspiracy enthusiasts, and an awakening to those who did not believe in them. 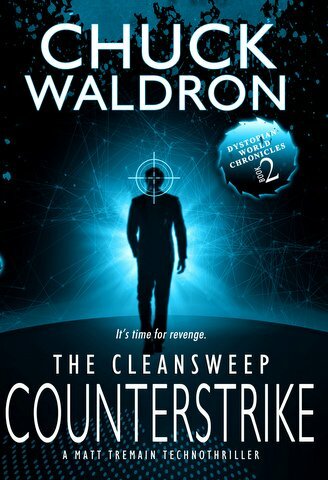 Waldron's unique style of writing sends chills down the spine with a constant thrill between the who is who, and what next. The language suits the genre well, and keeps the pace of the book engrossing. There are minor complaints but none strong enough in any way to hinder the reading. This book is a fitting sequel to one of my favourite dystopian novels, and also finds a place in my favourite books list. P.S. : Although I had read the previous book in the series a while ago, the book has now undergone a brand new makeover that makes it look like more books are planned with such an interesting theme. I am looking forward to those. The story is so engrossing - almost enough to ignore any inconsistencies or confusions. The book does not disappoint as a sequel and flows smoothly. The book was vague in parts about some important events' timelines. The story picks up pace only after a while, and this might not be right for a dystopian thriller. While reading book 1 is not mandatory, it feels important to know the story in detail before picking this up, or some important characters seem to lack lustre. A fitting sequel to the first book, and enjoyable as a standalone too. It’s a double entendre. Words can be stirring, rousing calls to action. I have nothing against rousing calls to action. In fact, I hope my words often do that very thing. When it comes to stirring words, however, I imagine writers stirring words in a large vat, wearing capes and conical hats. Whispering incantations while we mix our recipe. Here’s one from an old writing cookbook. Plot bunnies are unique, real creatures. Just Google and see. A plot bunny is an idea that refuses to go away. Once bitten, a writer is helpless. The only known cure is to start writing. Farm raised plot bunnies produce pleasant, safe ideas. For real excitement, however, nothing beats plot bunnies in the wild. Whichever one your pick, a tasty writing stew starts with a plot bunny. · Add a hero/heroine to take the lead. It needs a strong man or woman to usher us through a story. Leaping tall buildings in a single – well, you know – that’s not essential. · Next, add an appalling character to set up roadblocks. If you are shopping for a villain, look for the meanest one you can find. The more roadblocks your evil-doer can build, the better. · Add a dollop (blob, splotch, or a spoonful) of supporting characters, an essential ingredient. The writer should be careful, however. Too few means a weak stew, too many may turn it into a paste. · Sprinkle a roadmap over the stew. Some cooks use just a hint, an outline that blends the ingredients. Some prefer to follow more stringent guidelines. Both work, depending on the cook. · Pour in as many words into your stew as you can. Don’t be picky; eliminate unnecessary words later. · Turn up the heat and cook for as long as needed. You can put your finger in from time to time, tasting for flavor. · Lower the heat to room temperature. · Have someone else taste the stew. If they say it needs more seasoning or less, take heed. That was my recipe for The Cleansweep Counterstrike. I hope you enjoy the stew, sorry story. You can follow Matt Tremain as he finds himself in harm’s way, continues to encounter an evil Charles Claussen. Find out if Matt and his friends can find their way out of trouble. I thank the author for writing such a wonderful recipe for writing perfect books. This unique and innovative method will help both budding and experienced writers! The concept of first impressions becomes irrelevant when dealing with books that come up subsequently in a series. As a reader already becomes familiar with the writer's style of narration and has a general idea of the characters and their qualities, there are two kinds of possible outcomes. It is harder for the author to keep to the characters' descriptions, and it is easier for the reader to pick and choose favourites before they begin the novel. Miracle Man, the previous book in the series, was an engaging read and that made me read this book without much deliberation because I was familiar and comfortable with the writing style and was eager to know what happened to the genius doctor this time around. This book was advertised as a standalone, and that intrigued me more because I wanted to see if it would sound similar or different. The cover and the summary had the same effect as their book 1's counterparts. Simple cover that fit the stereotype of the genre, and detailed summary that gave the reader a clear idea of what the book is going to be about. Though it was obviously temporary, book 1 ended with the genius doctor having lost the abilities that made him unique. So it was with mixed expectations that I began reading this book. The one line description of this story sounds, like the first book's did, a little too less to encompass the brilliance of the story. A miraculous genius who has lost his unique abilities is on a journey of self-discovery to regain them, and is also tasked with trying to save mankind from extinction. But what makes this book special is the way this ordinary thriller plot is made into an interesting book that keeps the reader engrossed till the last page is turned. The hints given at the end of book 1 predicted the return of Dr. Robert Austin's capabilities - both the good and otherwise. Taking up those threads directly, book 2 begins with a prologue that sets the mood nicely, and a glimpse into what may happen if the threats came true. The Austin family is now living a life with altered identities, but the return of those abilities for Dr. Austin might mean more threats and problems like he's faced earlier in his life. The premise itself was sure to glue the reader to the book, knowing very well that the author will expand it beautifully in his book. Even for those who read this book alone, and have no idea about The Miracle Man - book 1 in this series, the book clearly begins like a novel about someone who had powers and lost it (the reasons why are not necessary to enjoy book 2 - but the prologue still gives a general idea) and is one the journey to regain them and identify what led to their loss in the first place. What I liked the best about the book was how the single word in the title, 'paradox', had multiple ways in which it was used. The paradox of his loved ones pushed to not believing him, that of a cure not working for the disease, and that of himself trying to find his way back and fearing what may happen if he regains his abilities. Each of these individual concepts were carefully highlighted in what I consider is a great story. Compared to the first book, though, maybe because the reader is used to the narration techniques, this one seems a bit slower, and crammed with more details than was absolutely necessary. The overall narration is good, fast paced and keeps the reader interested. The book is a complete story, standalone by itself and takes up many interesting sub plots that it manages to weave well. The language is clear without much jargon considering the genre this book is about. The book scores points for its story line and narration. Fast paced and interesting, covers all it said it would, in the summary. The characters stayed true to the readers' expectations of them. The book will not disappoint the readers of book 1, and that is a huge achievement. The whole virus-medicine cure theme has been overdone in this genre already, and this book would have worked much better with a different means. The details that are given to move the story ahead sometimes tended to slow down the pace of the story. An interesting book that brings together features of multiple genres. 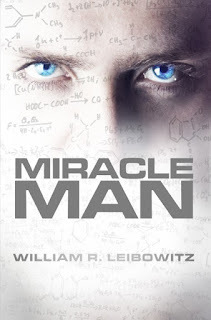 Guest Post by William Leibowitz, Author of the Miracle Man series. 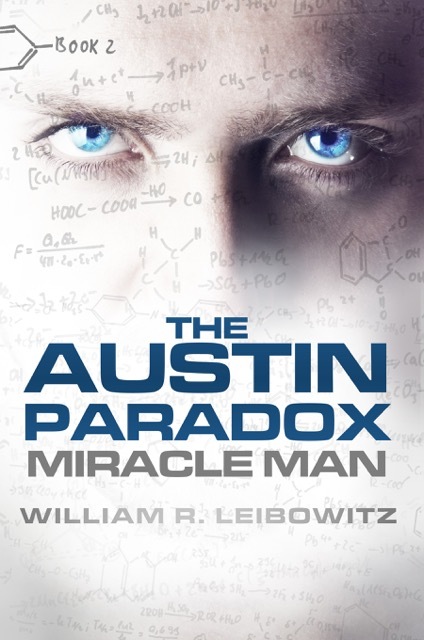 Hello Dhivya –let me tell you why I wrote Miracle Man and its sequel, The Austin Paradox. These novels tell the story of Robert James Austin, the greatest genius in history (we’re talking 10X Einstein’s brain power). These books are psychological thrillers with fast paced twisting plots, as Austin battles incredibly powerful external and internal forces that seek to destroy him-- including Big Pharma and its political cronies. In writing Miracle Man and The Austin Paradox, I wanted to create an inspirational hero who isn’t a comic book character and who isn’t one of the meritless celebrities that dominate media today (e.g., the reality TV stars who are famous for being famous). I also wanted these books to be the vehicles within which I could convey, in an entertainment context, certain spiritual and humanistic messages that are important to me. In writing Miracle Man and The Austin Paradox, I also wanted to get readers thinking about a real-life problem that affects us all. One of the powerful forces fighting Austin is “Big Pharma” which views him as their enemy since he cures diseases and thereby makes many of their “cash-cow” drugs obsolete. In short, Austin is bad for their business. Like Austin, I find it incomprehensible that virtually no major disease has been cured in over 50 years. How can that be the case when so much money has been spent over the decades on research? Simply put, there’s a lot more money in treating symptoms than there is in curing diseases. Austin realized that Big Pharma has no interest in curing diseases. It just wants to keep on selling expensive symptom treatments –and as we know, many people are on expensive ‘medication maintenance programs’ for years, sometimes for life. Austin wanted to change that. I think people need to start questioning Big Pharma on many fronts –from the price of drugs -- to why there aren’t more cures. ---So what I tried to do in both of these novels is first and foremost to write entertaining books that engage readers and keep them turning the pages. But within that entertainment context I wanted to get my readers thinking. From the reviews I’ve received and the letters sent to me—I’m extremely gratified that this has happened. The cover was a interesting but a stereotypical thriller trope. The summary was detailed and expansive, highlighting the major points of the novel. I had mixed views as I began reading, and expected the story to not be cliched but still maintain the readers' interest. Miracle Man is one of those books that manages to take up a normal story line that sounds usual and make it into something intersting and extraordinary. A one-line description of the book would not be able to cover the intricacies of the writing or the plot. It was a good read from start to finish, and managed to keep me engrossed all the while. A miraculous child, a genius with IQ off the charts grows up into a man with superhuman intelligence. He wants to do good to this world after repeated personal tragedies and tries to find cures to diseases that have been plaguing mankind. But vested interests that want the world to be treated but not really cured, find issues with this approach and all of a sudden the Dr. Austin is hounded on all sides by people who want him gone. They are not only the corporates who stand to lose but also other people who want him gone off the radar. The book itself is so realistic and relevant in current times, that some of the events send chills down the readers' spine. Bar the superhuman intelligence of the lead character, and the events related to that, the rest of the book can be seen as something that can happen to people in the present world. That is one of the reasons why the book happens to be a page turner that keeps the reader intrigued and involved until the end. Addressing all the major issues in the medicine and pharmaceutical industry, the book points out exactly where the whole scenario is heading. The book can be an eye opener in many cases, making the readers question some of the things they have gotten used to. Miracle Man is not just about the actual character of the miracle man, but more about how the intelligence reacts with goodness as a moral compass, and how it will face and overcome difficulties in the real world, especially as a target of various entities who would not hesitate to use any means, fair and foul, to get rid of him. The book does not seem like a writer's first novel. Far from it, it has all the necessary checkboxes for a good book ticked. Interesting plot, clean execution, pace picking up within first few pages, drawing the reader in. It might seem long by the page count, but it manages to keep the reader hooked till the end, making for a quick read by being a page turner that does not just cram information but picks up various events that all come together to form a big picture that is full of twists and turns including the very end. This book would make the readers want to go to book 2 without skipping a beat, the writing is that good. The whole premise of the novel and the way it was carried out was good. The book kept things interesting, and could be read without getting disracted. For a piece of fiction, this was so relatable and dangerously close to being realistic, save the superhuman ability. The language could have been made better, and aided the book's readability. In one line, the plot sounds like a cliche of regular thriller novels, that was saved by a different superhuman character and that is far from the truth of what the book actually is. The book would have been a better read if the characters other than Dr. Austin were more developed. No reviews would do justice without revealing the plot elements. Interesting book that does not look like a first time book.